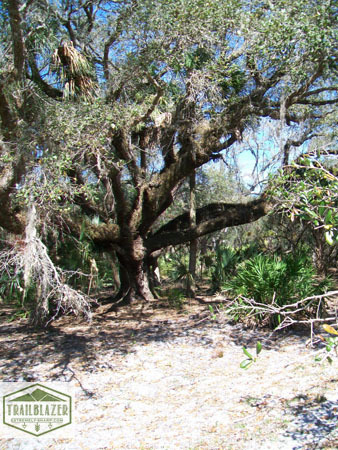 Last February my wife and I took a trip to middle Florida to celebrate or 27th wedding anniversary. 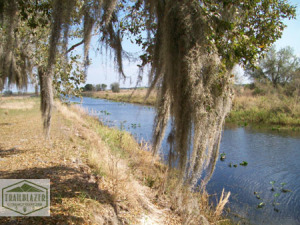 You might be asking yourself that Middle Florida is not known for it’s romantic getaways. 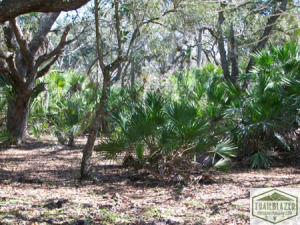 Middle Florida offer something that is hard to find on the beach and that is peace and quiet. My wife and I were in desperate need of a little peace and quiet. We decided on a working dude ranch outside Lake Wales, traumatologist Florida. We decided on the Dude ranch because they had a rodeo, drugs and air boat rides. 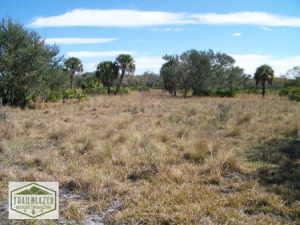 It was also in the middle of nowhere and boarded on the Kicco Wilderness Management Area. My wife could sleep in and I could hike in the morning before it got hot. 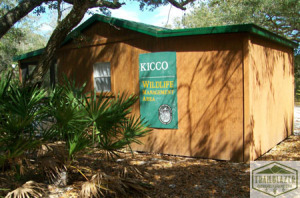 Kicco offers great deer, doctor turkey, wild hog, squirrel, migratory birds, quail rabbit and bobcat hunting. 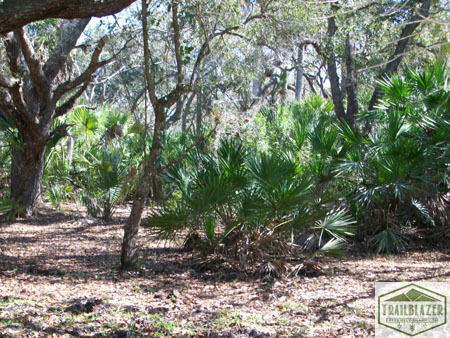 You can also hunt raccoon, opossum, armadillo, beaver, coyote, skunk and nutria. During hunting seasons I would recommend an orange vest to prevent from getting shot. I like the third option. Trail blazing. Making your own way through the mazes of trees and fields. I was not there during hunting season. I like to find a point in the horizon and make that my spot, walking forward with no trail or markings. I like to trail blaze. Kicco has the Kissimmee river running through it. The river is a great point to hike to. The river hosts much wildlife including many birds, snakes and gators. Finding gators in their natural habitat is always a treat. Then there are wild cows. 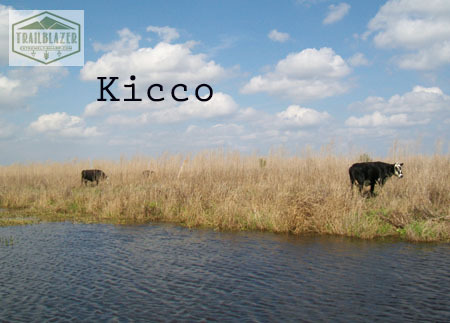 Kicco is one of the few places left in this country that ranchers are allowed to let their cows wander and graze on federal land. 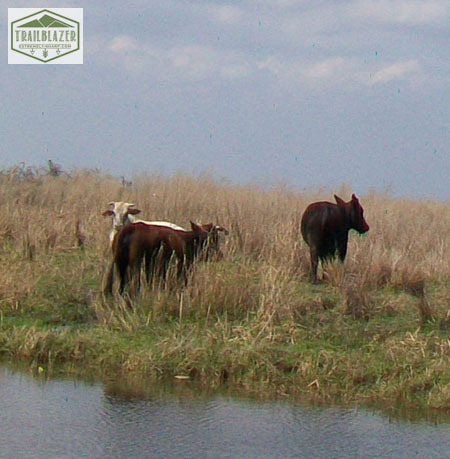 There are a good amount of cows grazing the Kicco but they seem to congregate near the river, their natural water source. I hiked every morning in Kicco for two weeks. 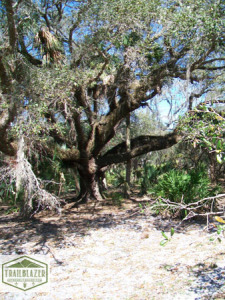 There are several trail heads or management points to get in the area. They are easy to get to. The roads are gravel. I have not driven these roads when they were wet. Mountain gravel roads can be a little hairy to drive but the Kicco roads had few ruts and divots. You can’t drive our camp in the area without special permits. 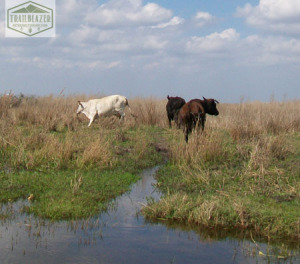 I thought I would include a few pictures, I included some wild cows, to give the reader an idea of the terrain.